I grew up listening to Cat Stevens. Not the “The Wind” hippie with the quintessential 1970s flair for which he was acclaimed and fawned over. But rather the Muslim hippie: the bearded, devotional garbed one who sang about Arabic letters and core Islamic motifs, the “A is for Allah” kind. His voice rang soberly, joyously and cheerfully in our somewhat quaint townhouse, which would be filled with his melodious vocals and attendant lyricism after our daily prayer and throughout the long nights of Ramadan. In “Tala Al Badru Alayna,” we merrily heard and were embracingly taught the joy that the newly converted 7th-century Muslims felt when Prophet Muhammad entered his soon-to-be haven and refuge: Medina in present-day Saudi Arabia. In Yusuf Islam, I discovered Islam’s soul in a glitteringly similar way to how many discovered music’s very soul in Cat Stevens. My father — a deeply pious man and member of a pietist, proselytizing movement called Tabligh e Jamaat — would spend Sundays transcribing Yusuf’s lyrics and duplicating his songs on cassettes with our ersatz tape recorder from RadioShack. “God is the Light” enchanted and resurrected my father’s musical taste, and he would play it on loop, an honor he reserved for sobering Quranic recitation. In a voice trained by his pre-religious obsession with old Bollywood songs by Kishore Kumar and Mohammad Rafi, my father would try to parrot Yusuf’s melodies in an admirable attempt at his rhapsodic style. Non-Islamic songs — i.e., songs that didn’t feature Allah or the Prophet — were shunned in our distinctly religious household, and we channeled our musical appetite in the glistening words of Yusuf Islam, Zain Bhikha and Sami Yusuf— musical non-deities in our Islam-abiding household. So when I chanced upon “The Unlikely Return of Cat Stevens” by Howard Fisherman published by my favorite long-form magazine, The New Yorker, I was expecting to be stunned and adrenalized. The article, however, unshockingly, disappointed. Fisherman goes at length to bemoan Yusuf’s religious (Islamic) phase, in classic Orientalist fashion, as decadent and austere: “cold, humorless, unhappy, and severe-looking.” Yet I encountered the complete opposite in Yusuf in my colorful memories of his cassettes: he was buoyant, lively, resurrected, ebullient, soulful. He sang with the same cosmological love that dervishes whirled for, and in the same loving vein that Sufi singers sang for their beloved in ghazals; the sorrow for whom Lucknowi qawali groups and tawaaif chanted marsiyyas; and the same yearning for whom bhaktis wrote kavya’s. If Fisherman found conviction in his attending of Yusuf’s concert, it was Yusuf’s undying love for Prophet Muhammad, which cultivated and nurtured his impregnable conviction. If Yusuf was so “cold” and “humorless,” how was he able to inspire the love for a man and a religion carved out of the deserts of Hijaz 14 centuries ago in the metropoles of London and San Francisco? For those of us who lived in the margins, exile, displacement and dislocation, common to many Muslims who have taken up homes in America, Yusuf was a source of gravity, acoustically teaching us self-love in “I am a Muslim” in a strikingly identical fashion to Malcolm X’s oratory discourses of self-dignity. To the recently immigrated engineer from Bangalore driving to work in Cupertino, Yusuf’s hymns rang ever so gloriously, harmoniously. His “Ya Nabi Salam Alayka” calmed down the child of Dhaka immigrants, parents who were tirelessly working two shifts at Dunkin’ Donuts in Queens. Fisherman found Yusuf to be puritanical and parochial, emblematic of a my-way-or-the-highway philosophy, perhaps pointing to his larger prejudices about the rigidity of Islam and a lack thereof in Western societies. He rejoices at Yusuf’s return from a strict observance of “only one way, only one truth, one law, one path.” Yet that singular vision provided a musical escape to so many Muslims and children of post-colonial societies. In our countries, we had lost so much of our own sense of self, through the horrors of colonialism and ascendancy of capitalism, which displaced indigenous forms of music (the ghazal in India is one common example). Yusuf had to mold that one path of rhapsodic recluse for us, dispatching with his fervor for eclectic dreams for a higher and nobler purpose. Sana Saeed of AJ+ notes that Yusuf Islam hadn’t “left” but evolved from his two “past selves” (if self can be conceived as an unchanging monolith) into something more brilliant and complex — a nuance of which Fisherman markedly disallows. 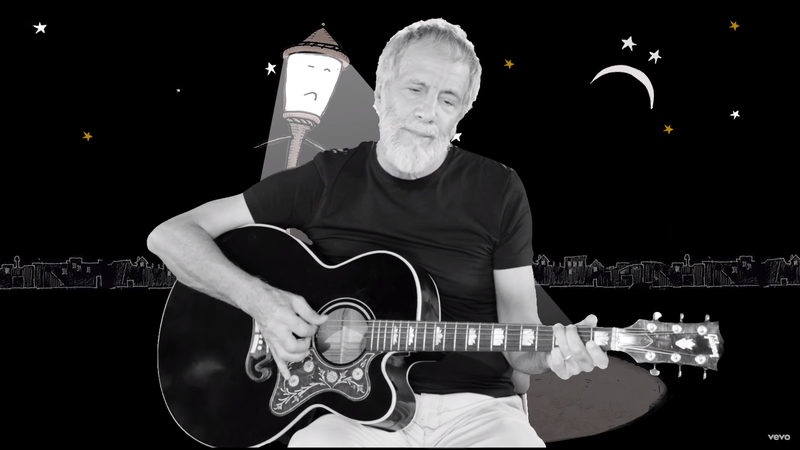 Yusuf’s hyphenated identities — one as a musical icon in the secular world, and the other as a singer of folk songs in the ‘Muslim world’— can be acknowledged without discrediting his Islamic transition. It is in this highly polarized world, where there exists a “We” and a “Them,” that Yusuf elides and problematizes, an act that seems to unsettle Fisherman. In “If You Ask Me,” Yusuf chants in a light-hearted, didactic question-and-answer hymn about the core beliefs of a Muslim. If you ask me, though, Yusuf seems to be as happy as he was singing it as in Fisherman’s version of him. Some time on the Peace Train is required, however. 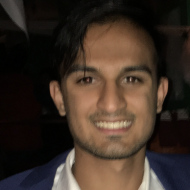 Saaleh is a student at Columbia University, majoring in South Asian history.